Is the Focus RS due to join the Ford classic collection? Three generations in, and the Focus RS is still making huge waves. There is one problem, however, and that is the simple fact that Ford are no longer making them. This is a fantastic sign for Ford enthusiasts and a keen investor. In recent years, class Fords have fetched colossal amounts at auction, including over £100,000 for a classic Sierra RS Cosworth. It only takes a few minutes of AutoTrader perusal to see the Mk1 and Mk2 are still selling for in excess of £10,000 and £20,000 respectively. Clearly, now is the time to invest in a Mk3 Focus RS. Why do we love the RS much? Many, many reasons. First of all, value. Rivals such as the Mercedes AMG A45, Audi RS3 and Golf R, come in at a higher price. Initially, the RS was listed at £29,995, and clearly this price was attractive. Over 2300 UK buyers flocked to Ford and slapped a deposit on one after its big reveal in Germany. This included us here at Lodge Motor Company. 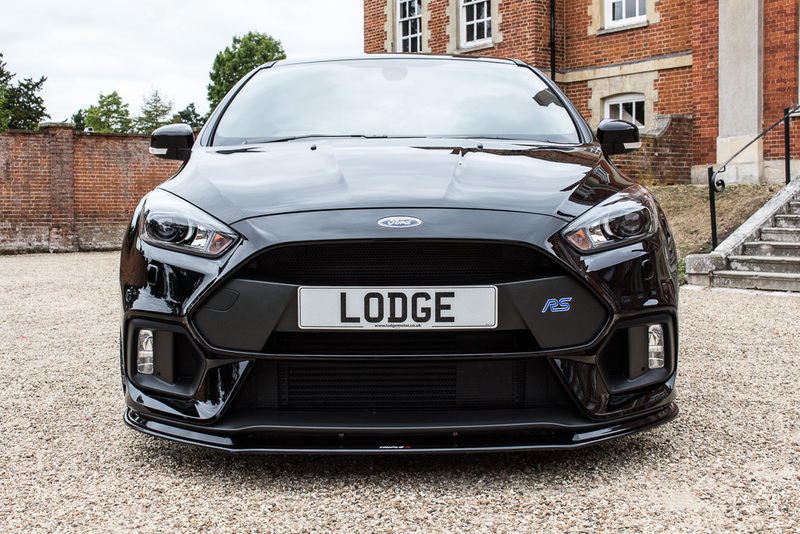 We were the proud owner of the first Mk3 Focus RS to come out of Think Ford Wokingham, for it to fetch more than list price months later due to increasing demand for the model. Secondly, it is a four-wheel drive. Yay! Previous generations were only front-drive, and despite attempts to manage torque effectively, there were still drawbacks. Now with a more sophisticated setup, torque vectoring allows for an increase in agility. Thirdly, and this is for all the adventurous ones out there, the Drift Mode and Launch Control features. The former was a controversial introduction, as some suggested it would incite dangerous driving, but boy is it great! Sending 70% of the thrust through the rear axle, it helped start slides and also helped manage them thanks to the suspension damping. Launch Control holds the revs, drops the clutch and off you go! Fantastic for a quick getaway when you’re late for work (but please, no speeding!). And there we have it, a brief summary of what is arguably the most fun and well-priced hot hatch around, and another model to add to the list of future classics. We don’t see any reason why it won’t join other Ford greats in history. Whether it be the basic Mk3 RS, the Mountune upgrade giving you an output of up to 375bhp, the RS Edition, 300 Red Race RS Edition or the slightly pricier Heritage Edition, go out and invest!